Children are the future of humanity and we shape our future by providing good education to them. Humanity First supports underprivileged children to gain Knowledge for Life by building school in remote areas in Africa and other under developed countries. Our target is to raise $35,000 to build school in Niger. It would be a gift from Humanity First Saskatchewan to the communities living in the remote areas of Niger. A step to build stronger communities and make this world a better place. Humanity First is a humanitarian relief organization registered in over 50 countries that is working on human development projects and responding to disasters since 1995. 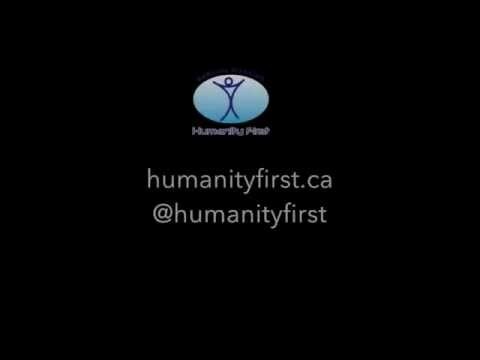 Based in Vaughan, Ontario, Humanity First Canada is an international non-profit volunteer based charitable organization providing relief and assistance to the less fortunate in Canada and across the globe to alleviate poverty and improve their quality of life. Humanity First also provides humanitarian aid to those affected by natural disasters and undertakes emergency relief operations around the world providing medical assistance, shelter, water, food, clothing and sanitation to affected populations. These have included the earthquakes in Haiti, Turkey, Pakistan, Japan and Iran, floods in Africa and Latin America, storms and tsunamis in the USA, Indonesia and Bangladesh, and conflicts in Eastern Europe. Humanity First also has consultative status with the United Nations Economic and Social Council (ECOSOC).